Nancy, as Founder Director of SafeHands, is dedicated to reducing maternal and newborn mortality globally through awareness raising, education and training to ensure that every pregnant woman has access to safe and skilled hands. An award-winning photographer and film-maker, she has spent most of her professional life documenting the lives, rituals and traditions of women and families around the world. In recent years her work has focused on the theme of safe motherhood in developing countries. Her impressive body of work has been produced in many countries in collaboration with international NGOs and Governmental Agencies, including: WHO, UNICEF, UNFPA, Save the Children, OXFAM, Comic Relief and the Canadian International Development Agency (CIDA). She has exhibited and contributed to numerous photographic exhibitions and worked with leading authors on books about pregnancy, birth, child development and sexuality. The pioneering film ‘The Cutting Tradition', directed by her, won two awards in 2010 from the Philadelphia Documentary and Fiction Festival, and the Victoria Australia Independent Film Festival. In October 2007, Nancy was awarded The Royal Photographic Society’s Combined Royal Colleges Medal. With ten years’ experience in the international development and wider charity sector, Helen has worked with several organisations to improve Monitoring, Evaluation and Learning strategies and better understand how and why change happens. Helen is passionate about working towards a future where women and girls have the resources and support to have full control of their bodies and lives. With almost 15 years’ experience in international development, Erica has successfully increased financial and political support for sexual and reproductive health and rights (SRHR) at the global and national level. She is an experienced advocate and fundraiser, and technical expert in SRHR policy and advocacy. Erica is passionate about ensuring women and girls everywhere have full, free and informed choice over their own bodies and lives. With a background in Mass Communication, Public Relations, and Advertising, Paige has spent the past three years fighting for improved access to sexual and reproductive health and rights at the International Planned Parenthood Federation, working in Advocacy and Communication. She is passionate about women and girls' rights to make decisions over their bodies and their lives. Debbie Manners is co-founder and Managing Director of Field Day Productions, A TV production company focusing on Premium Factual, she is also co-founder and Director of HERE Café Ltd and Chair of SafeHands For Mothers. HERE is a café bar and website with community at it’s heart. A local business established in Debbie’s hometown that is designed to serve and celebrate everything local, offering seasonal food from producers we trust, employing people fairly and honestly and doing all that can be done to protect the environment. Previously (2012-17) Debbie was the CEO of Keo Films, and Chief Operating Officer at Hat Trick Productions (2108-10), Group Commercial Director (2006-08) for RDF Media Group (now Zodiak), and Director of Rights (2005-6) for Flextech (later Virgin Media and Sky). For five years from January 2015, Debbie was Chair of Pact, the trade association representing the commercial interests of UK independent television, film, digital, children’s and animation media companies. Joining the BBC in 1988, Debbie held various business and commercial roles and latterly held the post of Director of Rights and Business Affairs. Jane is an ex-hotelier with extensive experience of event staging, management, and marketing. She studied Business Management at Middlesex University followed by various management roles with Marks & Spencer. After spending 13 years managing her own hotel she now works in the field of hospitality as a freelance disability awareness trainer and access auditor. Janie has been a PR practitioner for over 25 years. She has handled large-scale promotions and events across the United Kingdom, Europe, and the USA. She co-founded Taylor and New – a public relations company specializing in film and television. She ran high-profile campaigns for major motion pictures in European and North American territories and represented international films and celebrities at all the significant film and television festivals including Cannes, Berlin, Venice, Sundance and New York. She subsequently founded Janie New Communications. For ten years, she handled all the marketing and PR for The Speech Language and Hearing Centre, for babies and children under five with language and communication delay. Segun is a qualified management accountant and currently works for MANGO (Management Accounting for NGOs) as a financial management specialist. MANGO aims to strengthen the financial management and accountability of humanitarian and development NGOs and their partners. During his time at MANGO Segun has trained and provided consultancy to hundreds of NGO professionals in best practice financial management, strategic management and grant management all over the world. Prior to joining MANGO Segun worked as a Finance Manager for Restless Development an, INGO development agency working with young people to become the next generation of leaders. He is also a social entrepreneur and passionate about inspiring young people and helping them to achieve their dreams. Baroness Helena Kennedy is a practicing barrister. She is a member of the Doughty Street Chambers in London and has been involved in a large number of prominent cases. These include the Brighton Bombing, the Michael Bettany espionage trial, the Guildford Four appeal and the bombing of the Israeli embassy. She has also acted for many battered women who have killed their husbands. She has been the chair of the Human Genetics Commission since 2000 and Investigation of Sudden Death in Infancy, Royal College of Pathologists and Royal College of Paediatrics and Child Health, since 2003 and the past chair of the British Council from 1998 – 2004. She is president of the National Children’s Bureau and the School of Oriental and African Studies, London University and vice president of the Association of Women Barristers and the Haldane Society. Professor Lesley Regan is head of the department of Obstetrics and Gynaecology at St Mary’s Hospital, Imperial College London and the 30th President of the Royal College of O&G, only the second woman and the first to be elected to this role in 64 years. A passionate advocate for women’s reproductive health and rights, she believes that we must provide girls and women with the education and tools they need to control their own fertility and make informed decisions about if, when and how many times they become pregnant during their lives. She is Director of the RCOG’s Leading Safe Choices program which is funded by an anonymous donor to improve the quality and delivery of family planning and safe abortion services in sub-Saharan Africa. Recently elected as Honorary Secretary General to FIGO – the global voice for women’s health, she aims to utilise the synergies of her various UK and International appointments to make a meaningful contribution to women’s health, particularly to UN Sustainable Development Goal 3: Reducing Maternal Mortality and Morbidity and SDG 5: Achieving Gender Equality by 2030. Lord Patel KT is Honorary Professor at the University of Dundee, Ninewells Hospital. He is Fellow of the Royal College of Obstetricians and Gynaecologists, the Academy of Medical Sciences and The Royal Society of Edinburgh. He holds the Honorary Doctorate in Science, Medicine and Law from the Universities of Napier; Edinburgh; Aberdeen; St. Andrews; Dundee; Athens and Stellenbosch South Africa. He holds a further 18 Honorary Fellowships of universities and national organisations worldwide in surgery, anaesthesia, public health, general practice, psychiatry and obstetrics and gynaecology. He was awarded a Knighthood in the Queens Birthday Honours List in 1997 and was made a life Peer with the title of Baron Patel of Dunkeld in Perth and Kinross in the Queens New Years Honours List in 1999. His academic and clinical interests are in the field of high-risk obstetrics. He has published widely on the subjects of preterm labour, fetal growth retardation, obstetric epidemiology etc. 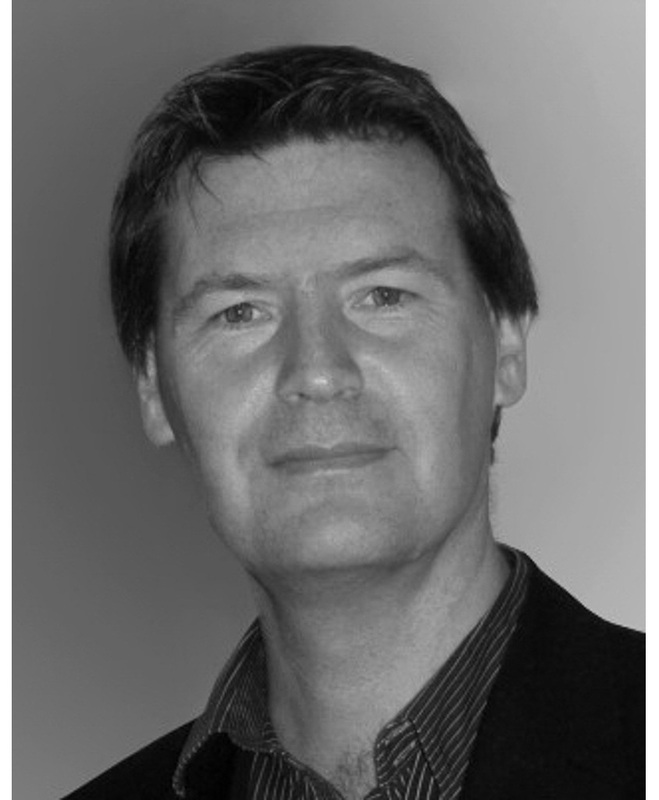 His current interests are in health quality and standards of clinical care and patient safety. Professor Ian Jacobs is Vice-Chancellor of UNSW Australia, a member of the Australian Group of 8 universities. In this post he has led the development of an ambitious ‘UNSW 2025 Strategy’ combining academic excellence with equal priorities in social engagement, equality, diversity, thought leadership, knowledge transfer and global impact. Prior to this role, he was Vice President, Dean and Head of the School of Medicine, Faculty of Medical and Human Sciences at The University of Manchester, and Director of Manchester Academic Health Science Centre. Alongside his leadership roles, he directs a laboratory and clinical research team focused on genetics, proteomics, imaging and biomarkers in detections and screening for gynaecological cancers and has held awards from Medical Research Council, Cancer Research UK and the National Institute of Health Research. He has led several large multicentre clinical trials including the UK Collaborative Trial of Ovarian Cancer Screening involving 202,000 participants in 13 collaborating UK centres and the UK Familial Ovarian Cancer Screening Study. He is co-inventor of the patented Risk of Ovarian Cancer Algorithm. In 2005 Ian established the Uganda Women’s Health Initiative, which he Chairs and which conducts a series of projects in Uganda including a cervical screening programme. In 2005, He founded the Eve Appeal, a Gynaecology Cancer Research Fund. Jon is a renowned journalist and Channel 4 anchor. He has covered some of the biggest news stories over the last thirty years, providing insightful and emotive journalism on a huge range of issues. Patrick O’Brien is a Consultant in Obstetrics and Gynaecology and Governance Director, Women’s Health at University College London Hospital. He is the Chair of the International Division of the Institute for Women’s Health in London, a spokesperson for the Royal College of Obstetricians & Gynaecologists, a member of the Obstetric Guideline Development Group of the National Institute for Clinical Excellence (NICE) in the UK, and a reviewer for the Cochrane Collaboration and several medical journals. He lectures widely in the UK and abroad, examines for the DRCOG examination and works as an Obstetric Advisor for the BBC. Mr O’Brien’s areas of interest are: High risk obstetrics, Maternal Medicine (in particular cardiac disease and haematological disorders in pregnancy), Fetal monitoring, Misoprostol in Obstetrics and Labour Ward management. Hibo is an author, mother of 7, and female genital mutilation (FGM) activist. Hibo works with schools, health officials, and police departments to educate them on FGM. Her memoir, Cut: One Woman's Fight Against FGM in Britain Today, was published in 2016. Rosie is Editor-in-Chief of HELLO! magazine, an author and mother of two. 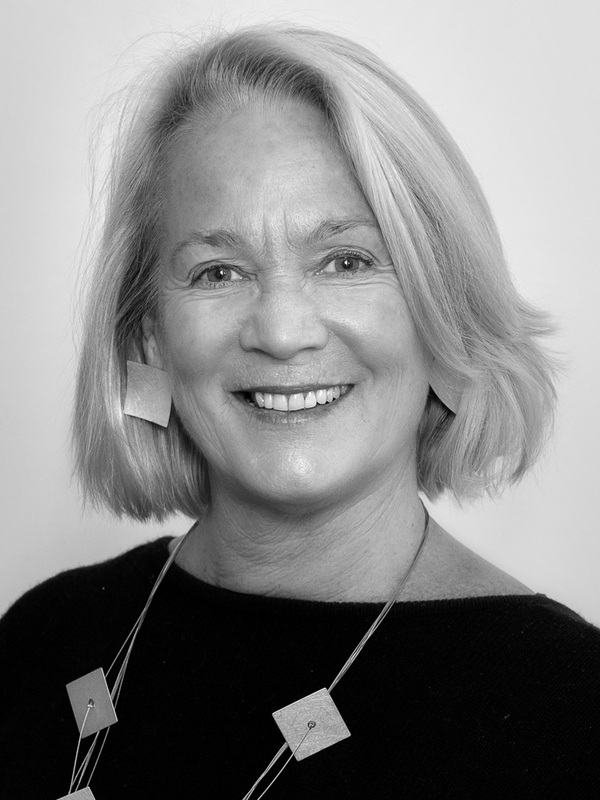 She has worked in the magazine industry for over 20 years and previously held senior positions at glossy women's titles including Grazia, Glamour and Red. Rosie was named Editor of the Year (entertainment and celebrity) by the British Society of Magazine Editors in 2017. Rosie's debut novel, The Stylist and the sequel, Amber Green takes Manhattan are published around the world. The Stylist is in development as a major motion picture. Rosie is currently writing her third novel. When she's not keeping on top of the latest Royal and showbiz news, Rosie is passionate about issues concerning women and children and their right to equality, and the story-telling process.